under and in and on and through we all live our lives. I particularly loved this part. See and read the whole poem here. With thanks to Patti Digh and the many gems she shares in her regular Poetry Wednesday posts. I’ve been thinking a lot about superiority and judgement and how we can be so quick to criticise an individual or a community when things don’t conform to our own personal behavioural norms, beliefs or cultural expectations. How we uncritically absorb the door-stop news spins of political leaders and others without so much as thinking to check for facts or additional elements of the story. How we gravitate towards views that validate us, often at the expense of other human beings. I’m reading a list of books curated by Patti Digh for the 37 Days Book Club. This month’s book is Half of a Yellow Sun the second novel of Nigerian author Chimamanda Ngozi Adichie. It’s a novel set in the 1960s with a background of the birth and demise of Biafra as a nation. In 2009, Chimamanda Adichie gave this talk at TED where she spoke about The Danger of a Single Story. Commercial mango growers are happy this summer season. The fruit has remained on the trees for the right amount of time. 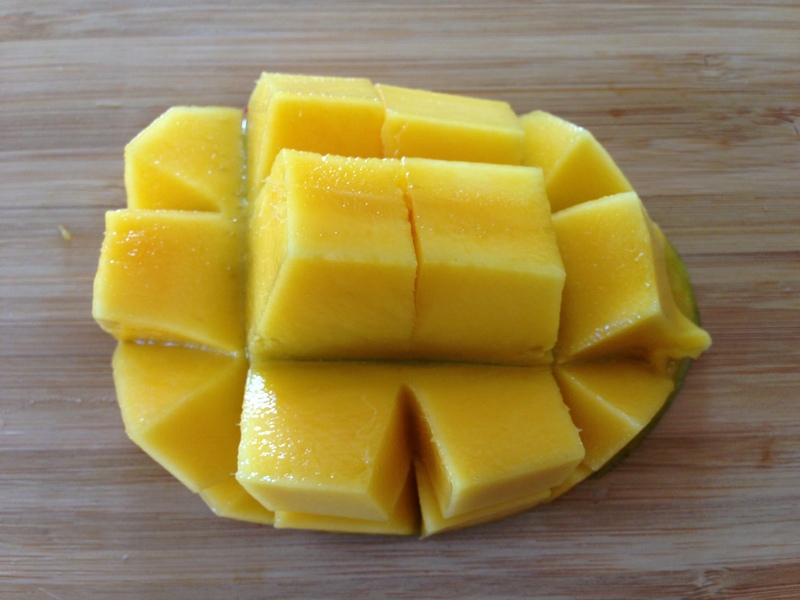 Trays of beautifully sweet and fleshy mangoes are readily available. Neighbourhood backyard trees are groaning with the weight of less fleshy fruit but the bats, parrots and possums aren’t fussy. On this glorious summer morning, where the heat seems to have turned down a notch or two, a mango in the fridge was begging for attention. Apart from the obligatory cup of espresso, I was looking for some brain food to kickstart my day. I need to complete a few hours of work today to meet a deadline tomorrow. This little concoction has done the trick. 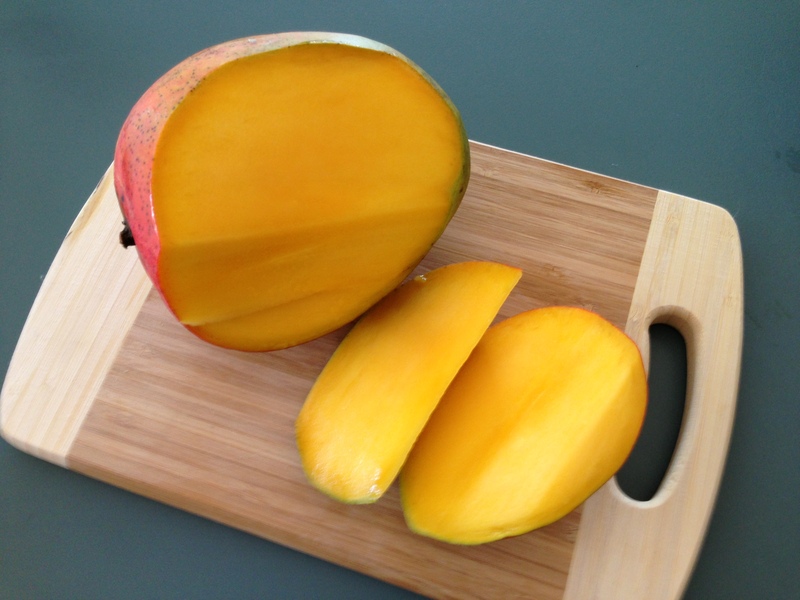 Take one mango. Lay it on a bed of low fat yoghurt. Scatter liberally with blueberries then sprinkle with a mix of ground almonds, linseed and sunflower seeds. Who knew a bowl of antioxidants could look this good? Close your eyes to listen to this instrumental piece from Joni Mitchell. Beautiful! From the CD notes for this track on her 2007 album Shine. I stepped outside of my little house and stood barefoot on a rock. The pacific ocean rolled towards me. Across the bay, a family of seals sprawled on the kelp uncovered by the low tide. A blue heron honked overhead. All around the house the wild roses were blooming. The air smelled sweet and salty and loud with crows and bees. My house was clean. I had food in the fridge for a week. I sat outside until the sun went down. Alto Sax: Bob Sheppard. Piano and all other instrumentation: Joni Mitchell. Thanks to HonestlyKyoko for uploading this to YouTube. Some weeks ago, I heard Anne Summers on the radio promoting her new venture – an online interactive magazine called Anne Summers Reports. It’s free, interactive and available for download as a pdf. Support to keep it going is via reader donations. The first issue is worth a look. There’s a feature article on David Gonski and this 15 minute video clip from the 2012 Women in the World summit. In her tribute to Hillary Clinton, Meryl Streep mentions Clinton’s ‘unheralded shadow diplomacy’. It’s an inspiring speech that provides insight into the importance of apparently small behind-the-scenes interactions of people in positions of power. Of course, Hillary Clinton’s role puts her in a place where she can make a difference. Yet I don’t doubt that across the broad spectrum of economic capacity and living standards, and education and age and place, there are countless unheralded acts that happen every day to support and promote the human rights of girls and women. Some of those acts require courage in the face of threats to life. This girl came out of the shadows and almost paid the ultimate price for standing up for the right of girls to have an education. 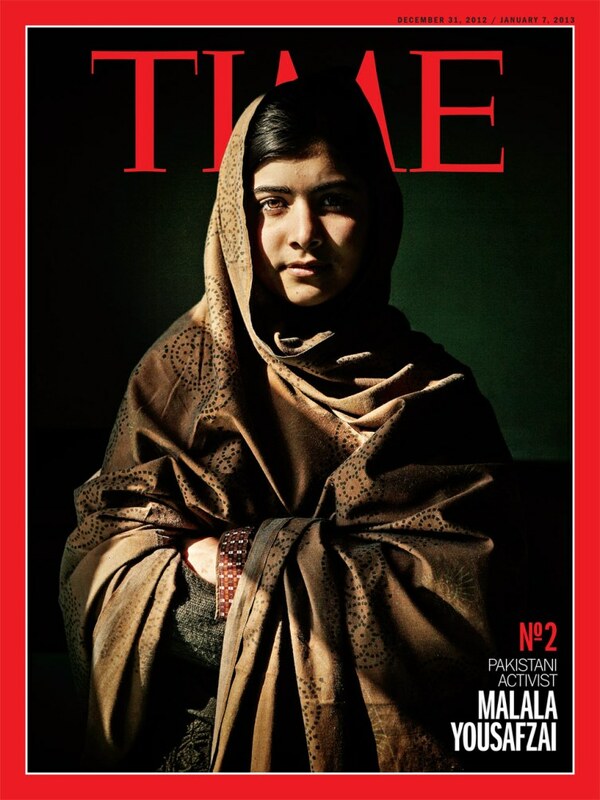 In 2011, Malala Yousufzai was interviewed by CNN. “I have the right of education, I have the right to play. 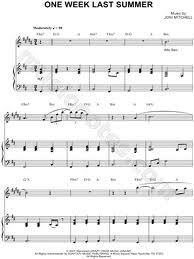 I have the right to sing. I have the right to talk. I have the right to go to market. I have the right to speak up”. We can think it’s overwhelming. We can think we can’t possibly make a difference. Or we can act in small ways to move closer to a collective tipping point for change. Yesterday afternoon there was a change in the weather. A burst of humidity around lunch time heralded clouds, gusty winds and so few rain drops I don’t know why I’m mentioning them. Still, the dip in temperature was enough to feel comfortable enough to generate some heat in the kitchen and use some of the oversize mangoes taking up space in the fridge. I often get the cooking process cart before the horse (to be polite) and find myself well into the commitment phase before checking that all the critical ingredients are in the pantry. 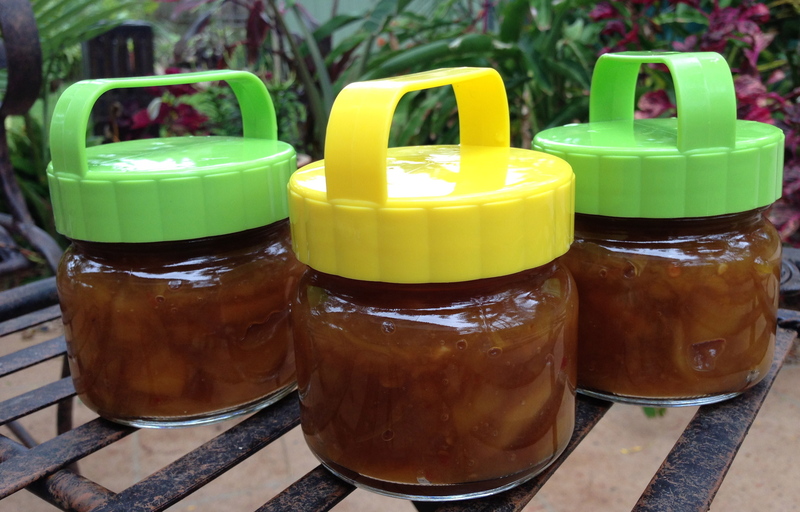 I’m sure that this sultana-free chutney will be a perfectly good accompaniment to our home cooked curries. Here’s a link to the recipe I used. Minus the sultanas. The clever jars with lid handles? I found them on my last visit to Sydney at Daiso Japan in the Mandarin Centre in Chatswood. Everything in the store is $2.80. Make sure you have time to spare if you venture into one of these stores. Consider this a vortex warning. Before Christmas, we took the car ferry over to Stradbroke Island and spent a relaxing couple of days with friends. I couldn’t resist posting this photograph of Dan and Rob fishing on the ocean side of the island. So much space and air to breathe.